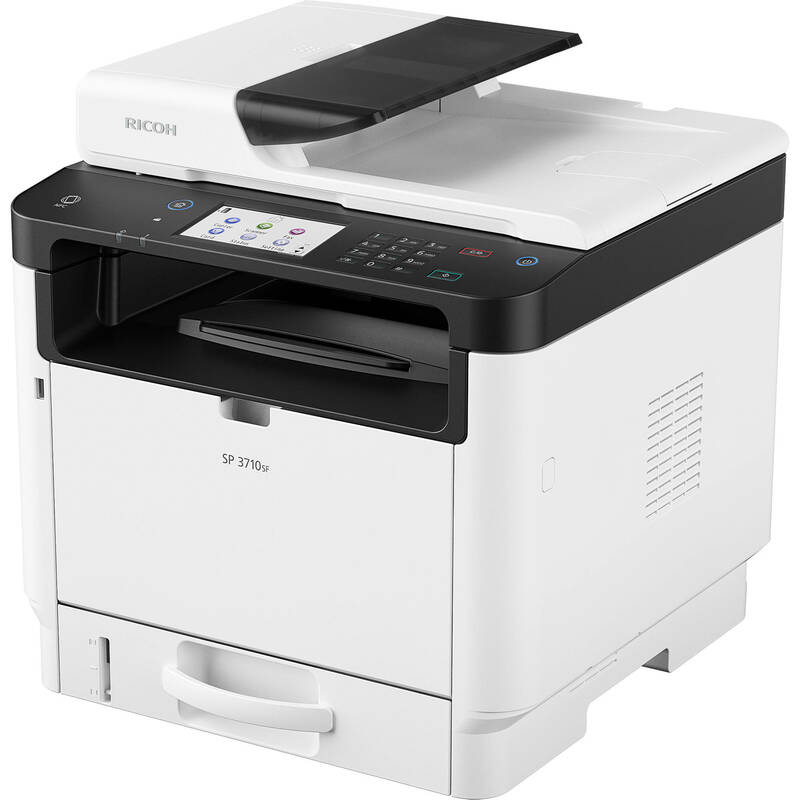 The Ricoh SP 3710SF All-in-One Monochrome Laser Printer is capable of detailed black and white prints at speeds up to 34 ppm. It has a print resolution of 1200 x 1200 dpi and can work with 8.5 x 14" documents. Additionally, it is fast to get started with a first print-out time of just 7.1 seconds. You can also scan, copy, and fax with this printer. A four-line LCD control panel allows you to easily check the print status and settings. A 250-sheet input tray and a 50-sheet bypass tray are available for paper media handling and this capacity can be expanded to a total of 550 sheets with the 250-sheet paper feed unit (sold separately). Also, the printer has a monthly duty cycle of 35,000 pages for reliability and features USB 2.0 Type-B and Ethernet connectivity. This printer can also support wireless printing if you purchase the optional IEEE 802.11 Interface Unit Type P16. Print a wide range of media, including envelopes and postcards, on documents up to 8.5" x 14"
Box Dimensions (LxWxH) 22.0 x 19.0 x 19.0"